When was the last time you got to the spa? Yeah, me too. These days it’s not exactly in the budget…time or money wise. But that doesn’t mean you can’t pamper yourself at home. 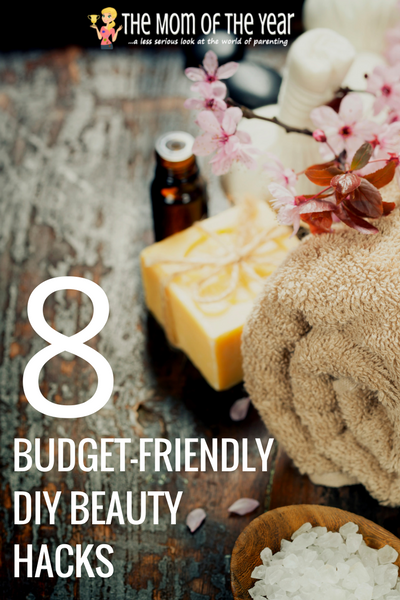 With these budget-friendly DIY beauty hacks you can make yourself look and feel good all month long. Frugal, time-conscience, and fun, these hacks are perfect for moms! Sugar scrub. A good exfoliation is good for the soul; out with the old and in with the new! What’s not good for the soul is paying $20 for something you can make out of pantry ingredients. Some raw sugar, an oil of your choose and a yummy smelling scent is really all you need. 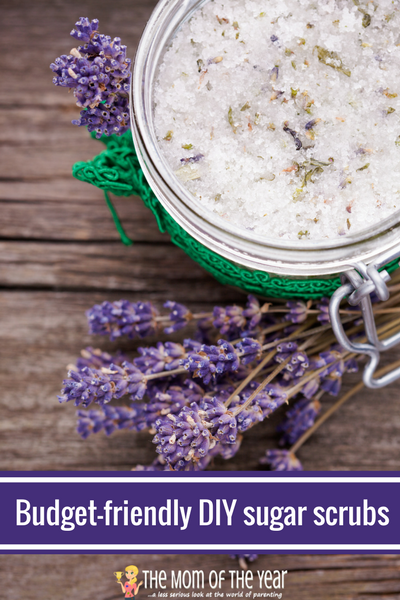 Check out this simple base recipe and then you can experiment with different scents or oils to match your moods. Hair Mask. If an avocado can transform a piece of dry wheat toast just imagine what it can do for your hair! Whip up this hair mask to rescue your dry, dull winter hair. You’ll have shine and bounce that looks and feels like a warm June day. This DIY mask will need about 20 minutes to settle on your hair. This is a great time for some super-mom multitasking. Throw it on and get the laundry folded or dishes done. Or curl up with a good book; you are at “the spa” after all. Teeth Whitening. Drink coffee? Or tea? Both drinks are hash on the pearly whites. Coffee and tea are the two biggest culprits of teeth staining followed by red wine (I know, life just isn’t fair sometimes). But don’t fret, you needn’t spend hundreds at the dentist or even twenties at the store to get that sparkle back. This is the quickest and easiest DIY budget-friendly recipe of them all. Just mix some baking soda with water until a paste is formed, apply with toothbrush, and let sit for 1 minute. Get into this DIY routine 2-3 times a week and you’ll be smiling big in no time. Foot soak. Mom feet can take a beating. Whether cruising around town in Uggs or sporting killer heels at the office you’re feet are deserving of attention. A soothing DIY Listerine soak will refresh those feet and help keep them pretty all winter long. Warning: you’ll either be fascinated or horrified by all skin that flakes off! Either way you’ll pleased by the result: soft, smooth skin. Bath Bombs. Time for a bath? Seems laughable, I know. The only time you get to see the tub is to clean a dirty kid or scrub the grime said dirty kid left behind. But a nice warm bath behind closed doors can be a great de-stressor at the end of a long week. Whether you need to clear your sinuses or your mind there is a bath bomb for every mood and ailment.Try them all or try a few, you can get as creative or stay as simple as you please. 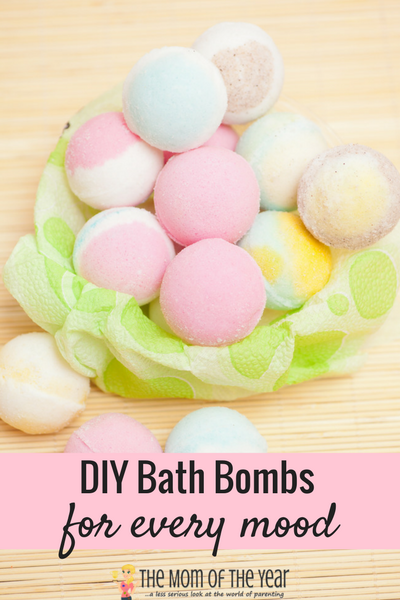 DIY bath bombs are also a fun way to cajole the kids into the tub! Lavender Milk Bath. Milk isn’t just for cereal. If you find the extra time for a bath give this relaxing milk bath a chance to soothe your dry skin. The milk moisturizes while the lavender relaxes and soothes. It’s the perfect DIY recipe for tired and dry skin. Steam shower. No time for a bath this week? How about an invigorating shower? If you’re not a morning person the citrus scents in these shower steamers will help open those weary eyes. Just like with any DIY beauty recipe you can experiment with different ingredients to match your mood, ailment, and even the season. Face Mask. Have your kids seen you with a face mask on yet? If the answer is no then drop everything and whip up one of these DIY face masks. Their confused look of horror and hilarity is one for the books. I love being able to entertain the family and pamper my skin at the same time. 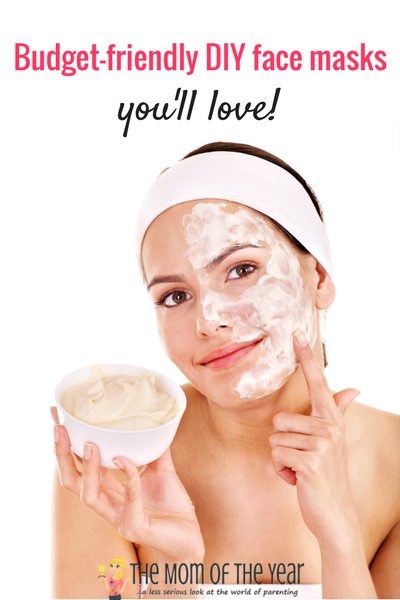 Be it dry, oily, or acne-prone there is DIY face mask for everyone. Life may not allow a trip to the spa but that doesn’t mean your body and soul should suffer. You work hard and deserve to be pampered. 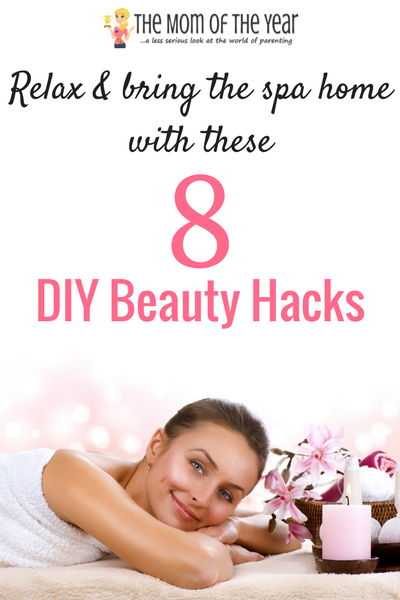 These budget-friendly DIY beauty hacks can keep you feeling and looking good without spending a fortune. Enjoy! Suzanne is a SAHM to 3 amazing children, ages 8, 7, and 2. Her children’s spacing allows her to bounce between common core math headaches and the dramatic and hilarious world of toddlerhood. Her children keep her learning and laughing and she has an amazing partner by her side to enjoy it all. Suzanne has been married to her super hero of a husband for 10 years following a 5-year courtship serving chowder and biscuits together at Red Lobster. When not hiding in the bathroom googling math answers and sneaking Girl Scout cookies Suzanne enjoys planning her family’s yearly vacations, squeezing in a workout, experimenting in the kitchen and reading the latest in her book club pick. Suzanne has a Master’s degree in counseling which she has used to pursue her passion of working with others. . When life allows Suzanne provides counseling to individuals with mental health needs at a local mental health clinic. She also teaches Kindergarten Sunday school and volunteers for the PTO of her children’s school. Wow, great stuff here; thanks! !